@Charlie_Girl Heh. I've gotten to 9.8 with a few characters, but, for some reason, I always choke or screw up near the end in a way that prevents me from attaining that crucial 0.1% extra. I might sit down one day and just work on doing that with one of my stronger characters. Finally got it this morning on my first Classic mode run of Ganondorf! @Ralizah Congrats. That's who I used to get it, and I wasn't even attempting it. Ganondorf is just more beastly this time. @JackEatsSparrows Me either! It just happened. His side smashes are killer. I think his playstyle just fits me best. Somewhat slow, but if he hits you... enjoy the pain. I had a frustrating experience with Wolf that same day. Got to 9.6 right before the final boss fight, but he killed me and forced me to use a classic ticket, so I only went up 0.2 to 9.8. I won't lie: I was quite salty. Got 9.9 again. With Falco this time. I actually hit the max score on the stage before the boss, which was unexpected. Made the boss nerve-wracking, as I had no classic tickets at the time to save myself if he smashed me. I wasn't actually intending to max his score on classic mode, though: I was going for that achievement where you have to clear classic mode with Snake starting on 5.0 difficulty without dying. @Ralizah I think what's driven me most crazy about this game is that the only 9.9 I haven't had to grind for was Peach, who I just picked up and got to 9.9 before even the boss, beat it before I found out you could use classic tickets to maintain a 9.9. How many have you gotten at this point? @link3710 Just three. LOTS of 9.8's, though. @Ralizah Awesome work, dood! I’ve got the house to myself till Saturday afternoon, so I may pop Smash in this week. @AlohaPizzaJack Want to play tomorrow afternoon? The Super Mario Bros.2 stage is called 'Mushroom Kingdom 2', but SMB2 isn't set in the Mushroom Kingdom, it takes place in Subcon. On topic, I got 9.9 with King K.Rool. Not my favourite character to use, just seems particularly handy for Classic mode. @Ralizah how?? what's the secret to success? Then learn how to beat everyone in Elite Smash. Classic runs will be a cakewalk! 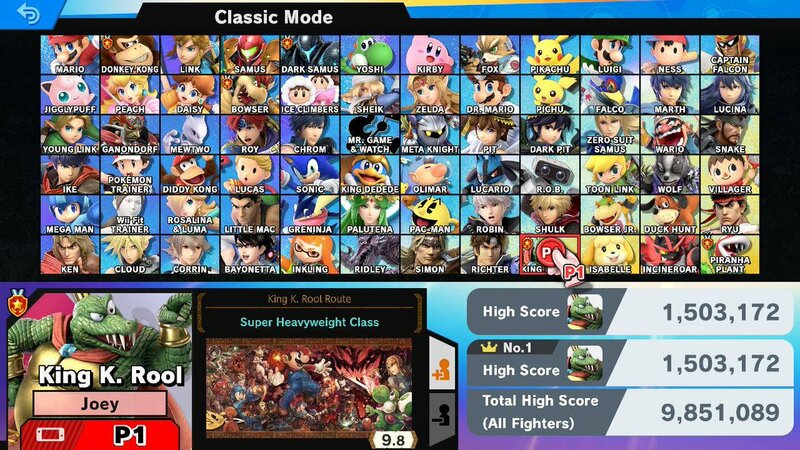 @Charlie_Girl It helps to pick a character whose smash attacks pack a wallop or who can throw far, as you can smash enemies pretty early in a match. Also, I've found I can beat Dracula and Galleom without dying most of the time, but the same is almost never true of the Master/Crazy Hand duo. 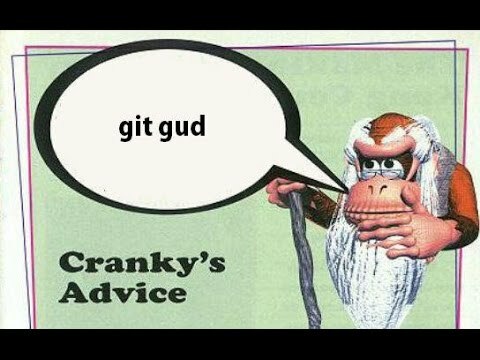 @Charlie_Girl Pick someone that doesn't have to fight both hands, or gets help fighting them (ie either Kong). They are the hardest boss. Also, apparently the Classic Ticket trick can help.